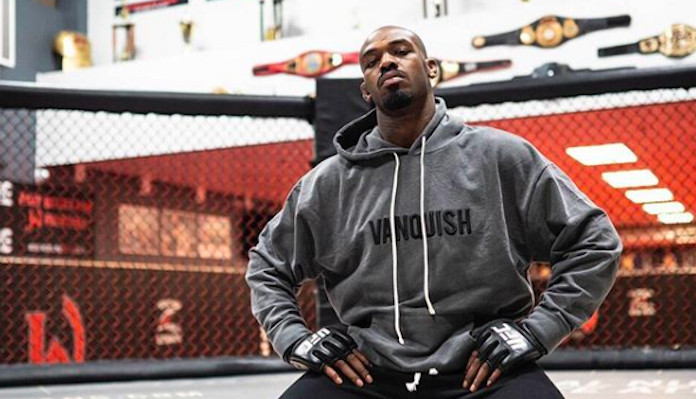 After all the controversy that surrounded UFC 232 back in December, UFC light heavyweight champion Jon Jones has received some good news. According to Brett Okamoto of ESPN, Jones was tested on fight night (December 29) and the results of those tests were clean. The most important detail of these test results, which were made public by California State Athletic Commission executive director Andy Foster, is that no traces of the M3 metabolite were found in Jones’ system. It was because of the picograms of the M3 metabolite that were found in Jones’ system prior to his title fight against Alexander Gustafsson that the UFC had to move the entire 232 event from Las Vegas to Los Angeles on just six days’ notice. Jones regained the light heavyweight title with his third-round TKO victory over Gustafsson and assured after the fight that he would prove his innocence with further drug testing. Jones also made it known that he would look to get his UFC 214 fight against Daniel Cormier reinstated as a victory. Although Jones knocked Cormier out in their rematch, the California State Athletic Commission changed the result of the fight to a no-contest when it was learned that Jones failed a pre-fight drug test. This most recent test result will likely benefit Jones, who is scheduled to meet with the Nevada State Athletic Commission regarding the most recent situation with his drug tests. The UFC had to move the UFC 232 from Las Vegas to Los Angeles because Nevada would not license Jones for the event since they didn’t have enough time to investigate his case. If Jon Jones is reinstated by the NSAC, it has been reported that the UFC has him booked to defend his light heavyweight title at UFC 235 against Anthony Smith on March 2. The fight will not be made official until Jones meets with the commission and they grant him a new license. This article first appeared on BJPENN.COM on 1/10/2019.